From storytelling to creating props, the stage has been a place which allows children to explore their creative talents and acting skills. Aimed at developing a child’s self confidence and in charge of their bodies and minds, children are encouraged to take part in extracurricular activities liked performing in stage plays so that they can grow up to be more confident in their abilities and become self aware and socially conscious. 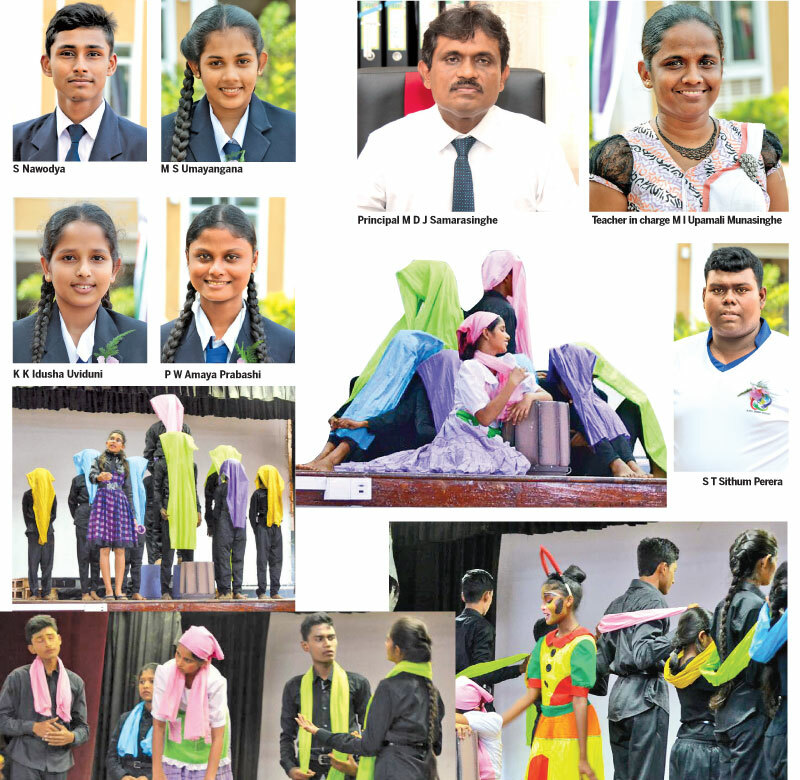 Batuwatta Maha Vidyalaya, Ragama, won first place in the World Children’s Literature Based Drama category at the All Island School Drama and Performing Arts Ceremony 2018 held on October 21. Their play was titled ‘Punchi Kella’ (Little Girl). Sithum Perera won second place in the Best Male Actor category while Shanika Umayangana won second place and Indusha Uvinduni won third place in the Best Female Actress categories. The drama also won the title of the Best Script, Best Direction, Best Performance and Best Make Up. They also won the Merit Awards for the music and costumes. Sahasra Navodya and Himasha Sewmini won Merit Awards for their performance. The teacher in charge of the project was Upamali Munasinghe. They were also supported by their Principal M D J Samarasinghe.